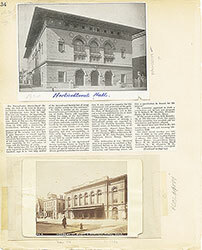 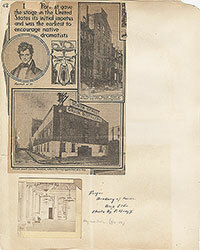 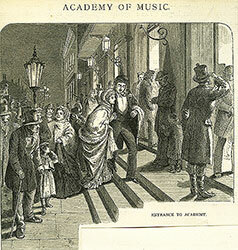 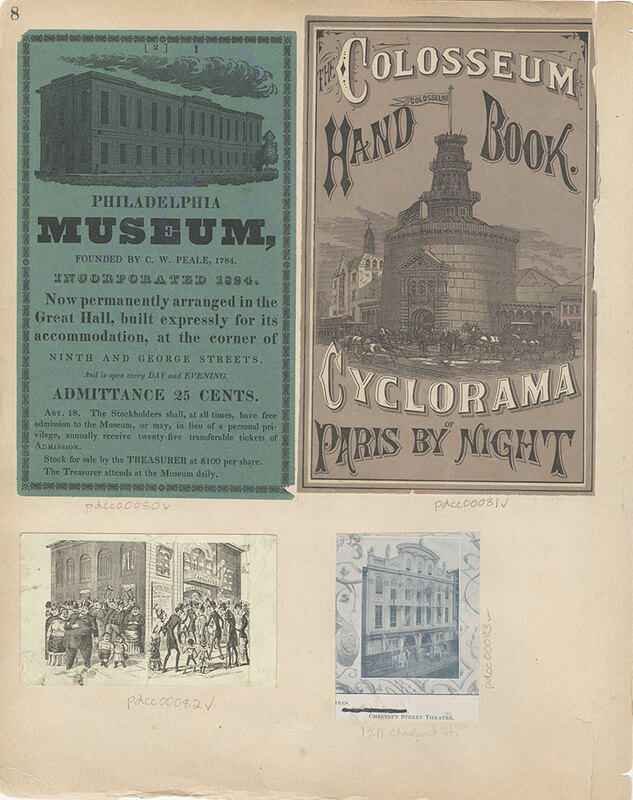 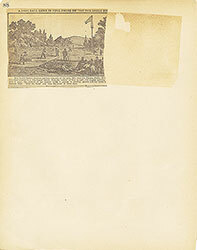 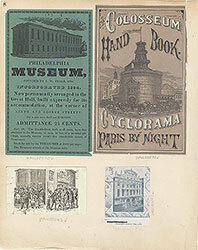 Front cover of the Colosseum Cyclorama's hand book advertising its exhibition entitled "Paris By Night", for which the building was expressly designed. 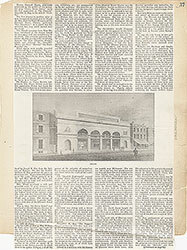 The cover shows an image of the Colosseum with horse-drawn carriages passing in front. 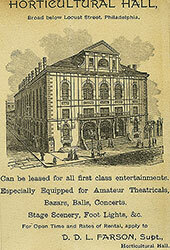 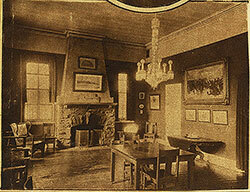 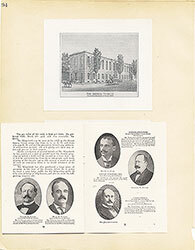 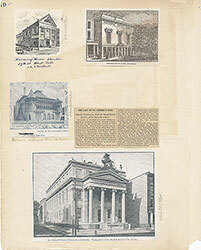 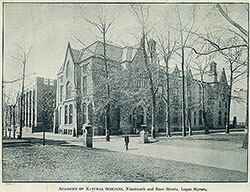 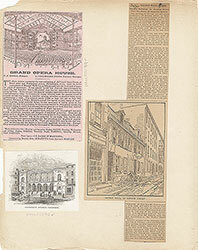 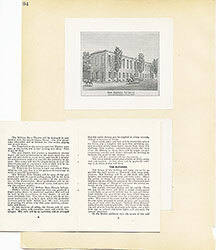 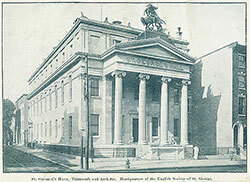 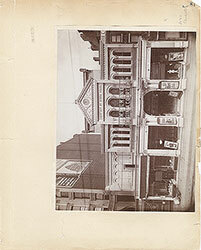 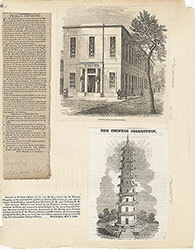 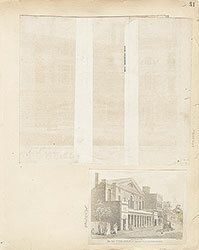 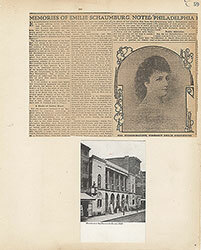 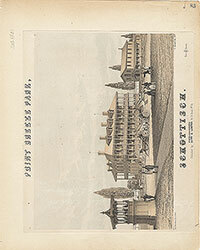 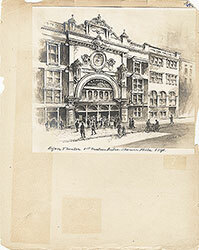 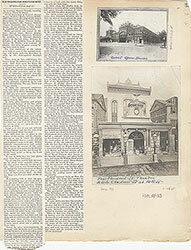 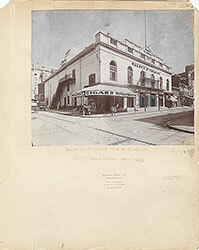 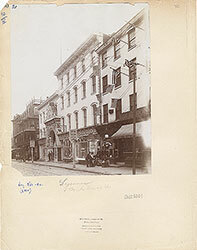 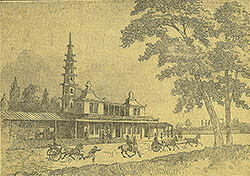 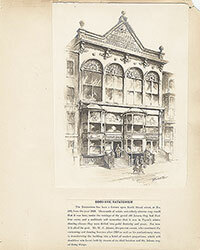 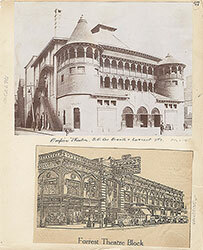 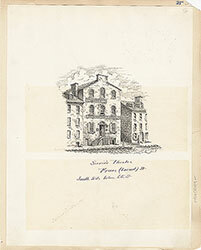 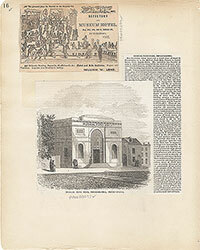 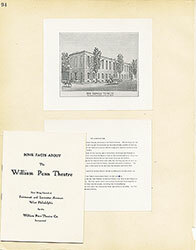 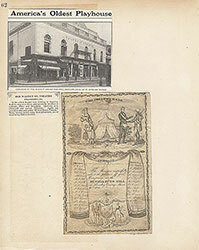 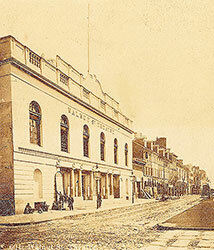 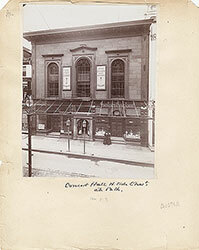 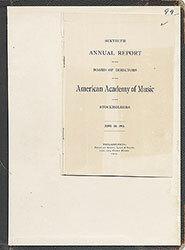 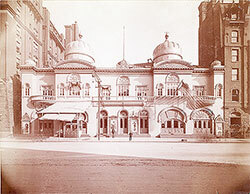 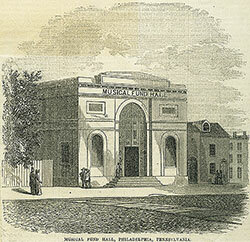 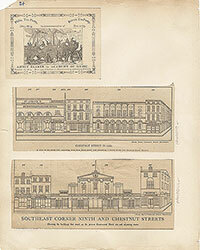 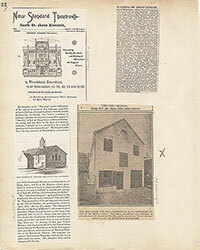 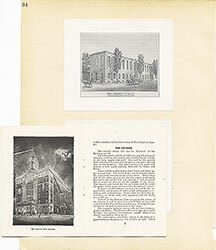 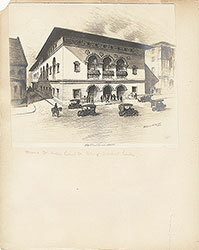 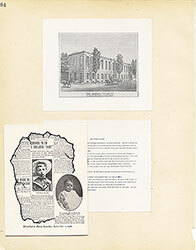 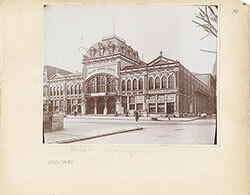 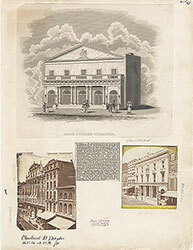 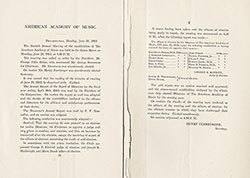 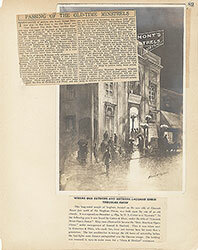 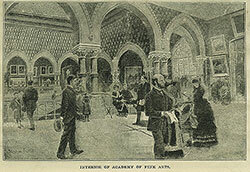 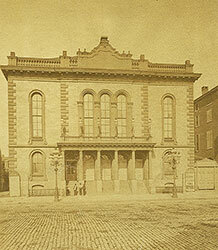 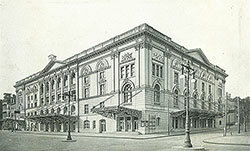 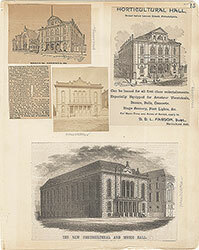 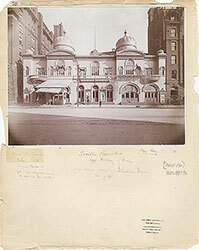 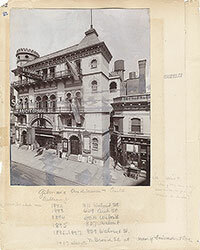 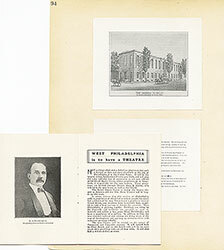 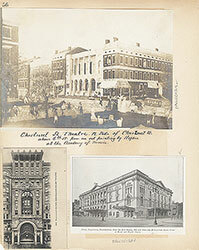 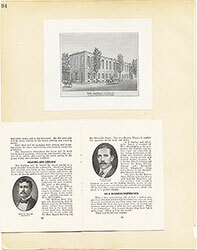 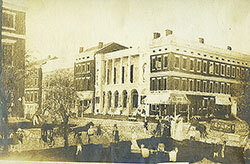 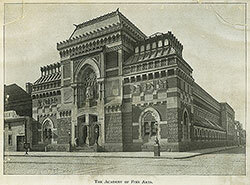 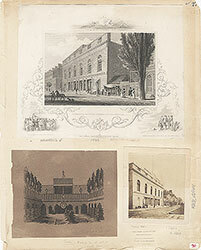 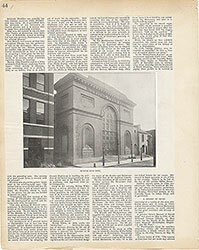 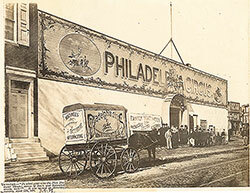 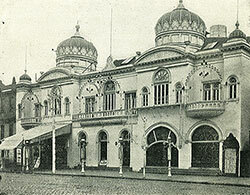 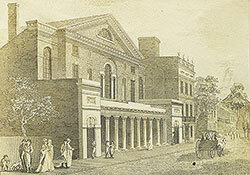 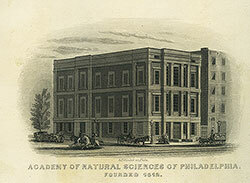 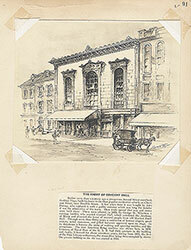 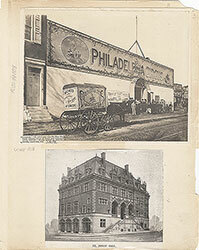 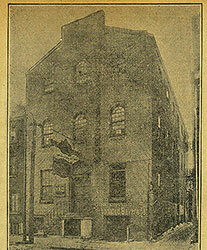 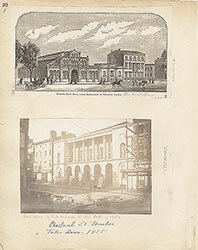 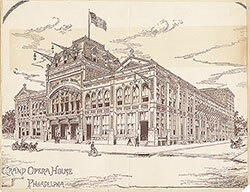 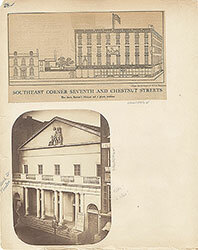 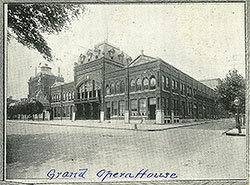 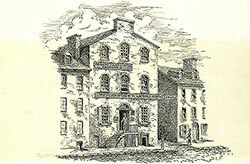 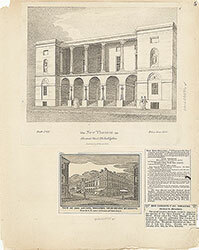 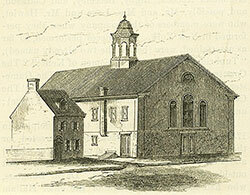 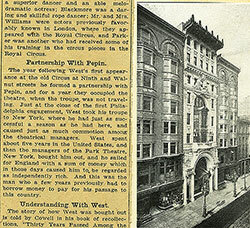 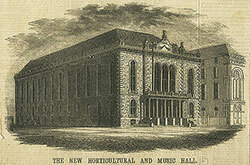 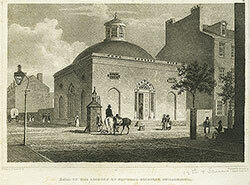 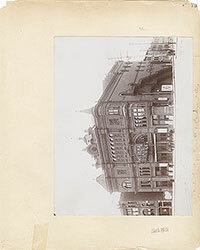 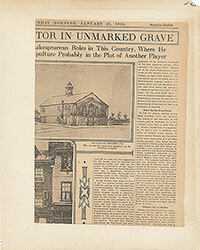 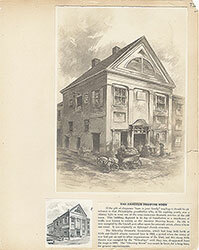 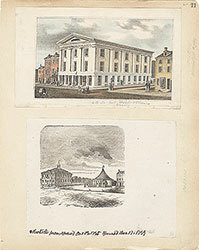 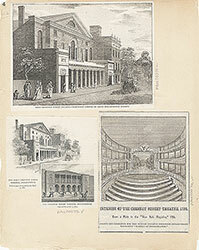 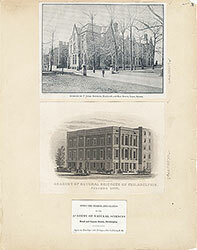 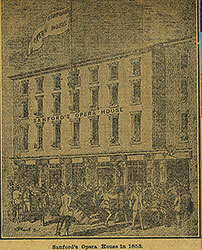 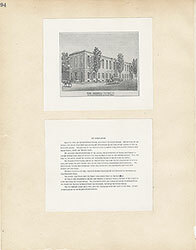 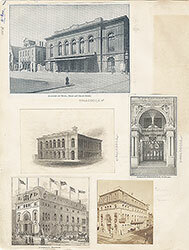 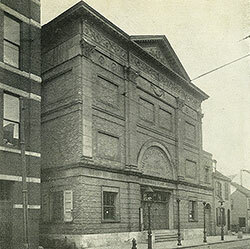 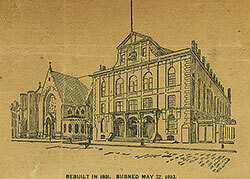 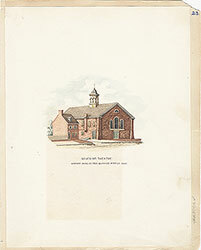 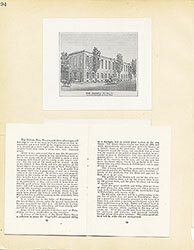 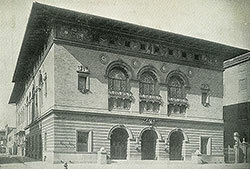 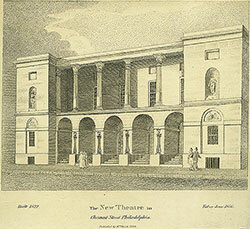 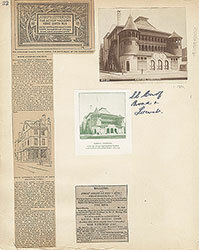 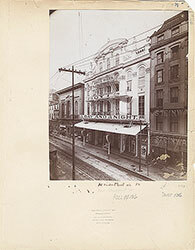 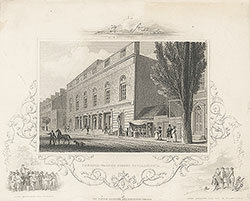 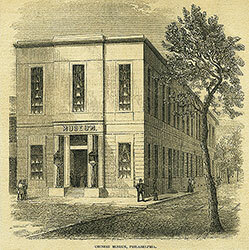 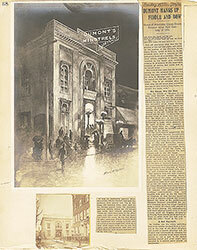 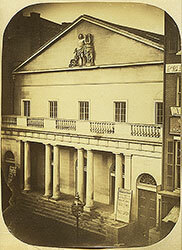 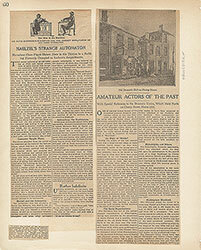 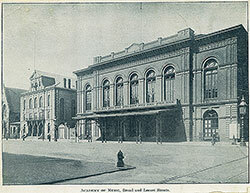 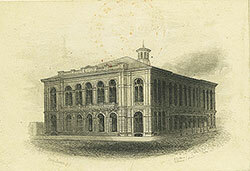 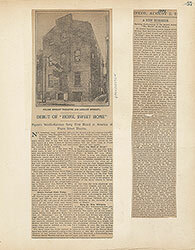 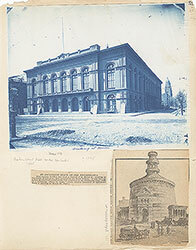 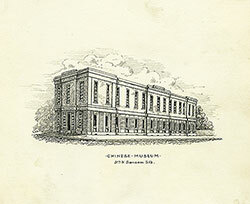 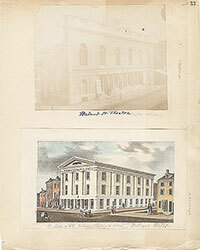 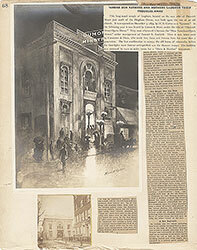 The circular building stood on the southeast corner of Broad and Locust Streets opposite the Academy of Music. 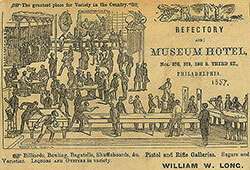 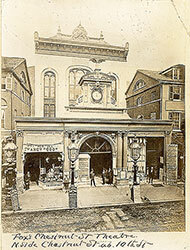 Originally erected on Broadway and Thirty-fifth Streets in New York City, it was moved to Philadelphia in the spring of 1876. 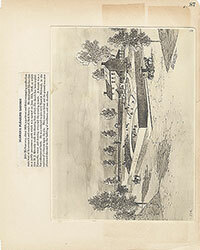 It's cylindrical form had a diameter of 129 feet. 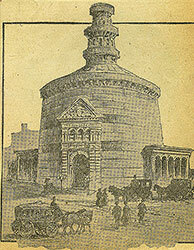 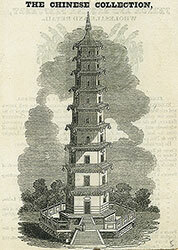 Made from corrugated iron, the outside measured 405 feet in circumference and stood 75 feet high. 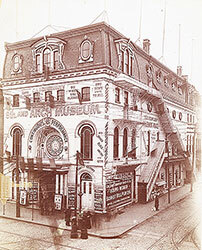 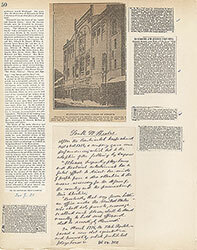 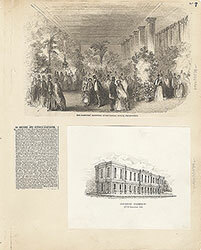 The inside of the building was decorated with a large circular painting of a panorama of the City of Paris, France. 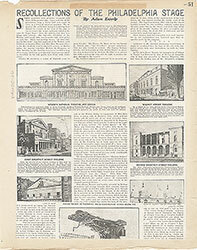 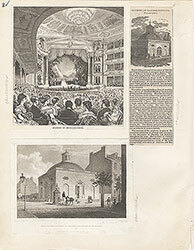 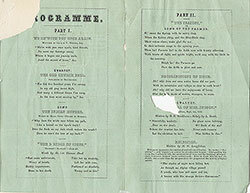 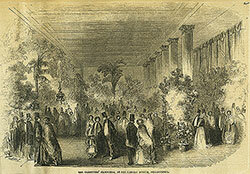 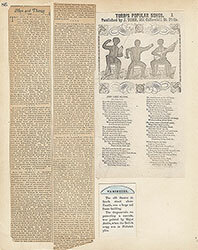 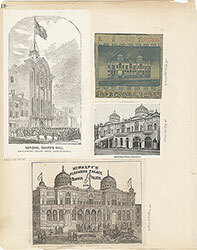 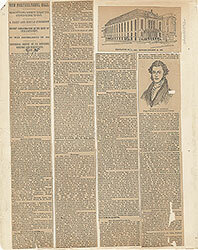 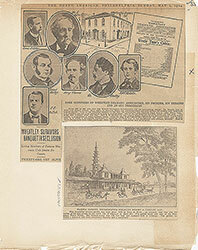 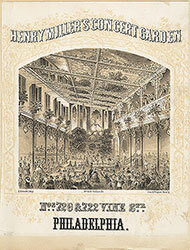 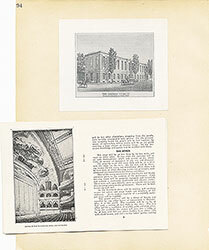 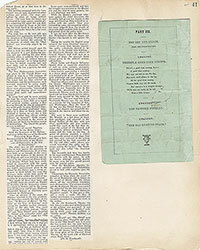 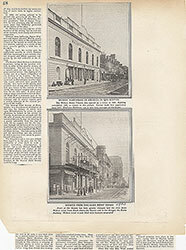 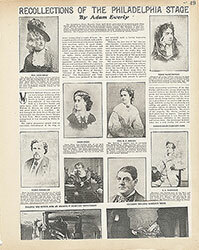 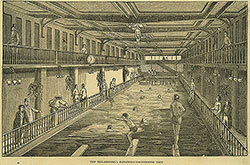 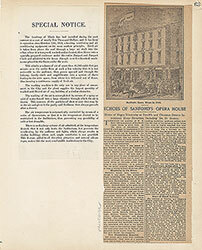 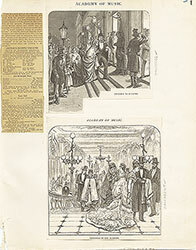 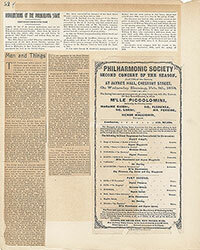 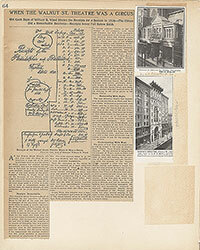 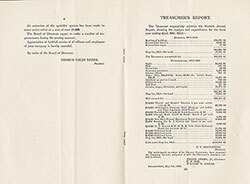 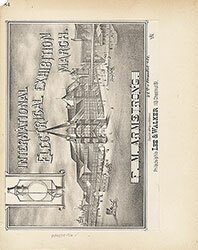 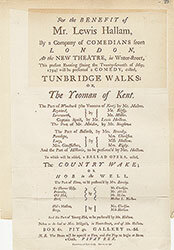 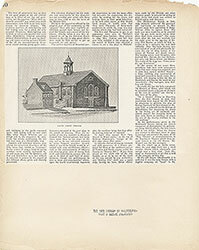 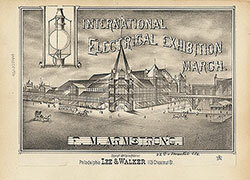 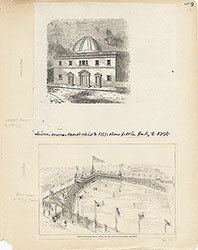 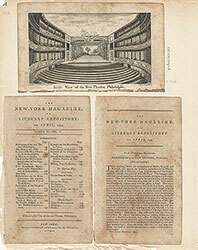 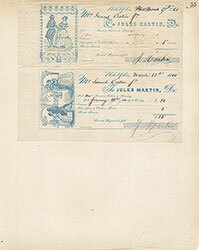 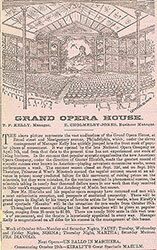 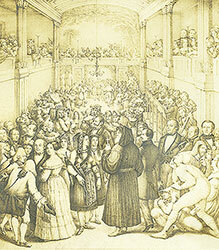 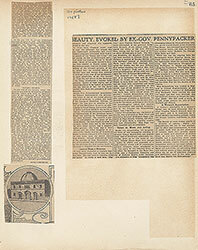 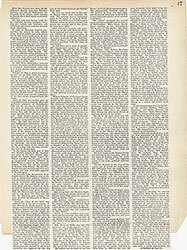 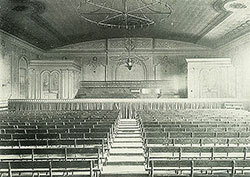 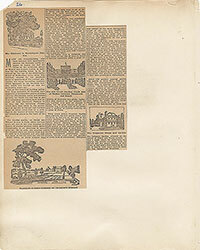 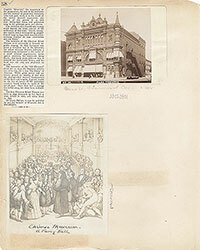 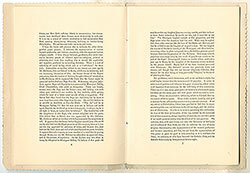 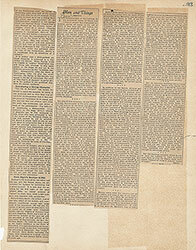 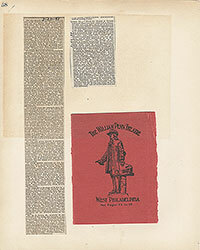 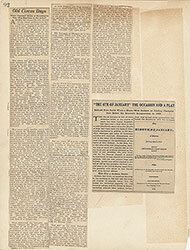 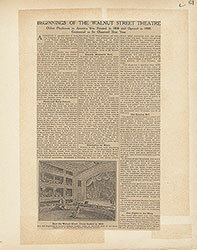 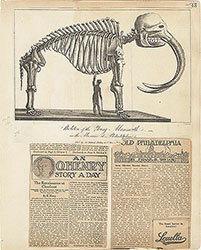 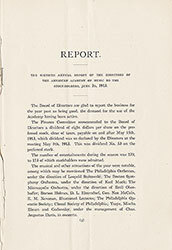 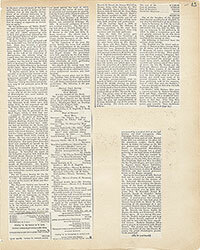 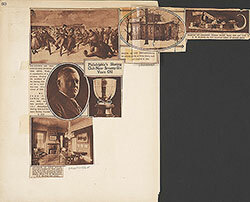 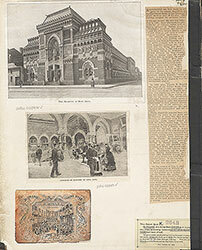 Covering over 40,000 square feet, the spectator viewed the spectacle from a central raised platform. 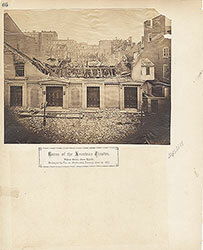 Looking downward a representation of the city unfolded in convincing perspective. 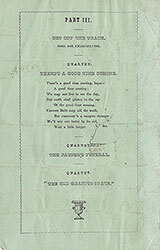 Higher up, the sky, complete with stars, was painted on the extended canvas, adding to the illusion. 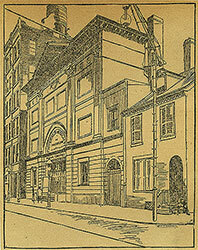 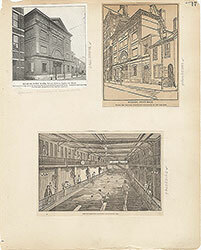 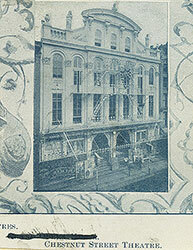 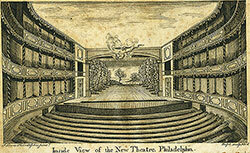 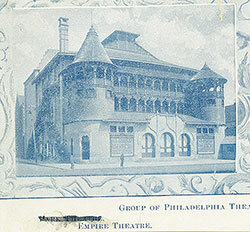 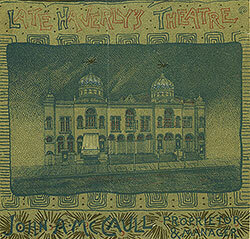 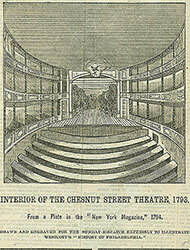 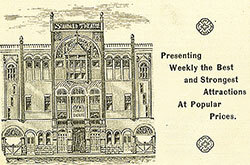 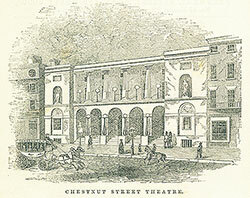 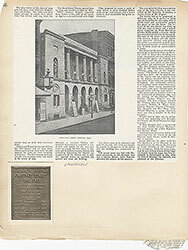 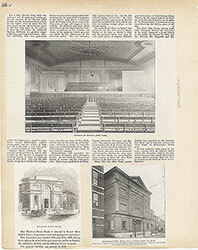 Halftone reproduction of the third Chestnut Street Theatre. 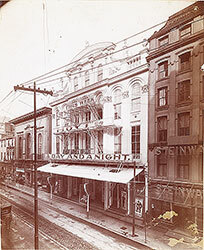 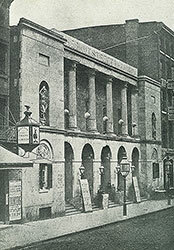 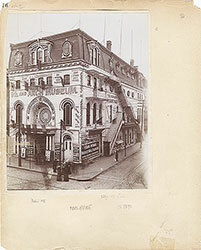 It was built in 1862 and located at 1211 Chestnut Street, some seven blocks west of the two earlier Chestnut Street theatres. 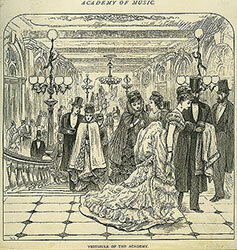 It enjoyed considerable success becoming a fashionable place to spend the evenings. 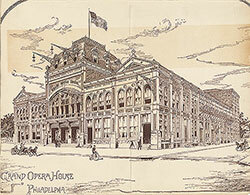 It remained open for 50 years closing its doors for the last time in 1913. 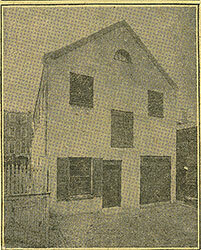 Not long afterwards the old building was demolished.